The MSRC works with partners and security researchers around the world to help prevent security incidents and to advance Microsoft product security. The PolySwarm ecosystem incentivizes what matters most: quality output of malintent detection. It rewards honest market participation through collection and distribution of fees to value-adding, active security experts. The PolySwarm market runs on Nectar, a token that will make it easy to submit and classify potential threats on the PolySwarm market. Nectar replaces traditional lump anti-virus and threat scanning subscription payments that are inefficiently distributed to a single vendor that doesn’t cover your variety of threats well. ZERODIUM is a privately held and venture backed cybersecurity company with operations in North America, Europe, and MEA. ZERODIUM was founded by cybersecurity veterans with unparalleled experience in advanced vulnerability research and active cyber defense. ZERODIUM is a privately held and venture backed cybersecurity company with operations in North America, Europe, and MEA. ZERODIUM was founded by cybersecurity veterans with unparalleled experience in advanced vulnerability research and active cyber defense. We’ve created ZERODIUM to build a global community of talented and independent security researchers working together to provide the most up-to-date source of cybersecurity research and capabilities. ZERODIUM rewards independent researchers for their zero-day discoveries and then analyzes, documents, and reports all acquired security information, along with protective measures and security recommendations, to its clients as part of the ZERODIUM Security Research Feed (Z-SRF). For more information about our corporate solutions and our tailored capabilities for governments, please contact us. Access to ZERODIUM solutions and capabilities is highly restricted. Established in 2000 in the Netherlands, Secura is an independent, specialised security expert with offices in Eindhoven and Amsterdam. 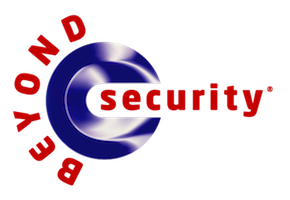 Our service lines are: Advisory & Audit, Security Testing (including penetration testing, Red Teaming and source code reviews), Certification Services and Training & Awareness. We help our clients take control of their digital security and are fully privately owned and not a reseller of any products or services, giving us the independence we require to provide our customers with high-value recommendations and knowledge transfer. Blue Frost Security is an independent provider of high qualified consulting services in the field of IT Security. Through intensive research, we ensure the continuous training of our employees and use the results to protect our customers from tomorrow’s threats. With our services, we take a holistic approach. We provide professional services on multi-vendor platforms in the field of IT Security. The range of services covers the entire chain of assessments, audits and analysis to evaluate the need to protect our customers’ core data and improve their IT security. JD.com, Inc. (Nasdaq: JD) is China’s largest B2C online retailer and the world’s third largest Internet company by revenue. It has been listed at Nasdaq Stock Market since May, 2014. The business involves e-commerce, finance and logistics. It is a technology-driven company which has launched its own standard technology-development strategy against the background of “The 4th Retail Industry Revolution”. As information security plays a fundamental role to support the retail business operation, the information security department of JD.com has invested a lot of resources in technology research and development to ensure the security of the information assets for customers, suppliers and JD itself. Vigorously advancing comprehensive technology, such as artificial intelligence, big data and robotics automation, JD.com has gone through the technology innovations and business operation improvements over the past ten years. Facing the opportunity and challenge of AI security, loT security and cloud security, JD Security actively introduced talents in internet security, conducted prospective technical researches, founded a R&D Centre and a security and anti-attack laboratory in Silicon Valley and expanded in-depth cooperation with world-widely famous universities and research institutes in AI security. With a neutral, open and win-win mind, JD.com not only practices the responsibility of enterprise safety, but also advances internet security with the internet companies, universities and government to boost the internet development.